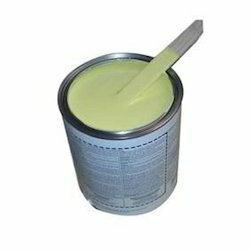 We are providing Vikoseal Primers. This is also recommended in refineries where bitumastic heating is not allowed. In such cases when Epoxy screeding as an interliner becomes very costly, the thickness can be built up in the primer coat itself by sprinkling suffcient quantity of silica sand over the above. Vikoseal - AR Bitumen Primer is the most commonly used and most economical primer based on bitumen as the base compound. This is a single pack compound system and when applied dries at room temperature. The primer is manufactured conforming to IS 158. This can be applied over the base concrete after cleaning the substrate and making it void of all dust particles. It gives a good bonding to the Bitumastic layer applied over this. Vikoseal - EP Epoxy Primer is 2 component Epoxy based primer used as a base primer prior to A. R. Tiling, Epoxy Screed lining and Self levelling. This is also recommended in refineries where bitumastic heating is not allowed. In such cases when Epoxy screeding as an inter liner becomes very costly, the thickness can be built up in the primer coat itself by sprinkling sufficient quantity of silica sand over the above. recommended in refineries where Bitumastic heating is not allowed. In such cases when Epoxy screeding as an interliner becomes very costly, the thickness can be built up in the primer coat itself by sprinkling sufficient quantity of silica sand over the above.